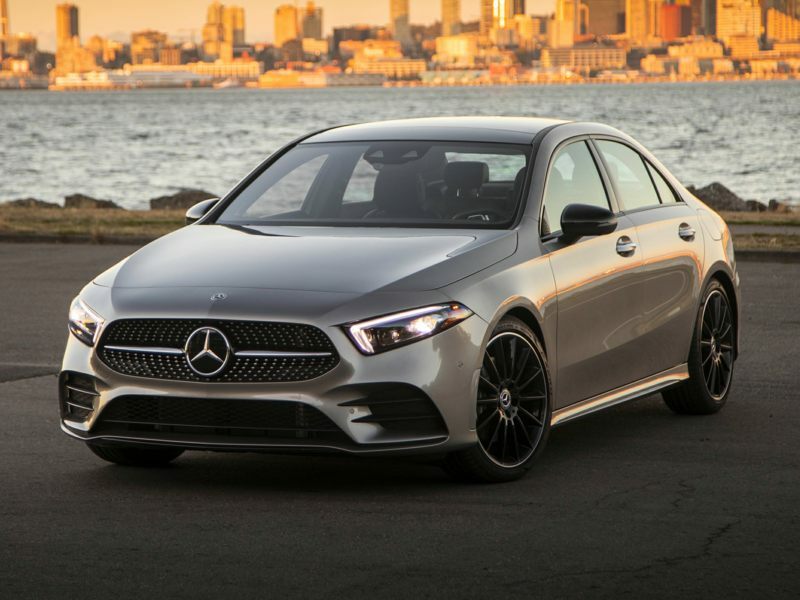 The 2019 Mercedes-Benz A-Class is a 4-door, 5-seat Sedan, available in 2 trims, ranging from the FWD Sedan to the AWD 4MATIC Sedan. Upon introduction, the $32,500 FWD Sedan is equipped with a standard 2.0L, 4-cylinder, engine that achieves 24-mpg in the city and 35-mpg on the highway. an Automatic transmission is standard. The $34,500 AWD 4MATIC Sedan is equipped with a standard 2.0L, 4-cylinder, engine that achieves 24-mpg in the city and 35-mpg on the highway. an Automatic transmission is standard. Did you know that the oldest automaker in the world is featured in our new Mercedes-Benz pictures? It’s true, since the brand’s progenitors include what’s generally considered to be the first gasoline-powered car ever produced, the Benz Patent Motorwagen, which was indeed patented by Karl Benz in January of 1886. As for the “Mercedes” side of the equation, well, by 1900, another German automaker, founded by Gottlieb Daimler and Wilhelm Maybach—whose name will be familiar to current hip-hop aficionados and German lux lovers alike—was working with engineer/entrepreneur Emil Jellinek to fine-tune its own early automotive entry. Jelinek’s contribution was a then-sophisticated 35-hp engine that happened to be named for his daughter, Mercedes. Thus, when Daimler and Benz merged in 1926, and were faced with legal challenges over using the “Daimler” name in some global markets, the new company’s first models were marketed under the Mercedes-Benz brand. A slew of industry firsts has followed, with Mercedes being first to market with advances like the first electric-powered car (1906), the first multi-valved engine (1910), the first supercharged engine (1921), the first four-wheel independent suspension (1931), and the proverbial much, much more. Backed by all that history, the vehicles shown in the latest new Mercedes-Benz pictures leverage well more than a century of automotive progress to deliver cutting-edge technologies, ultra-premium amenities and powerful-yet-efficient engines that are satisfying customers like never before: Not only have recent sales been at record levels, but Mercedes-Benz also elevated its score in the most recent American Customer Satisfaction Index to become the top-rated brand in the United States.